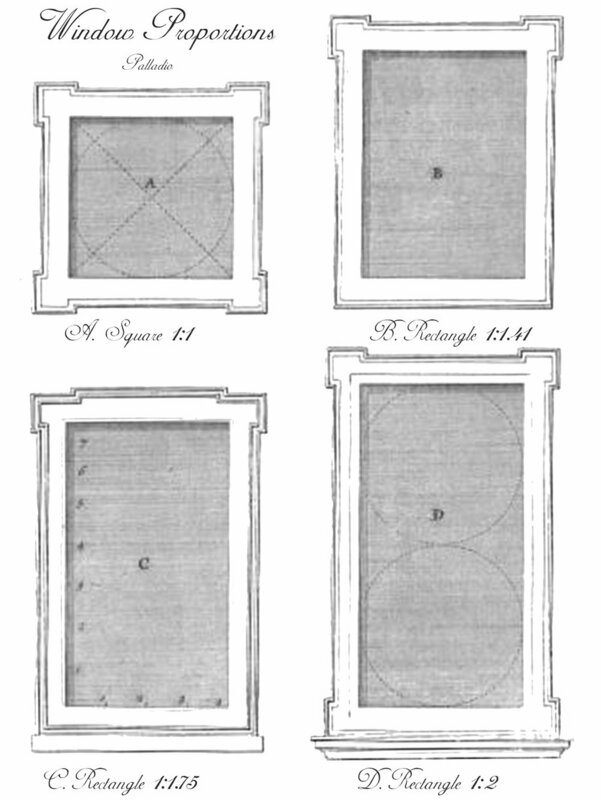 “On this Plate, the upper Window on the left Hand marked A is a true Square, the Height and Breadth being equal. That of B hath for Height the diagonal Line of A, from Corners to Corner, they being all of one Breadth. That of C hath for Height the Breadth and three Quarters, as shewn by Divisions on the Side and Bottom.